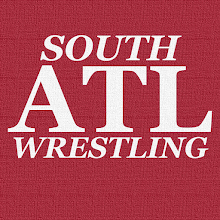 South Atlanta Wrestling: ACTION Wrestling: Thursday Night Throwdown Is TONIGHT And It Is FREE! ACTION Wrestling: Thursday Night Throwdown Is TONIGHT And It Is FREE! I have also verified with ACTION Wrestling that this show is on rain or shine. It will move from Shamrock Park to the usual home of ACTION (ACTION Zone/Roger Spencer Community Center) if there is inclement weather. Come on out to Tyrone, GA and check out this FREE show. It has a special belltime of 6:30 PM. Here's more from Tyrone Recreation about the event. Its show week! Thursday night at Thursday Night Throwdown at the Founders Day Festival with a special 630pm bell time!